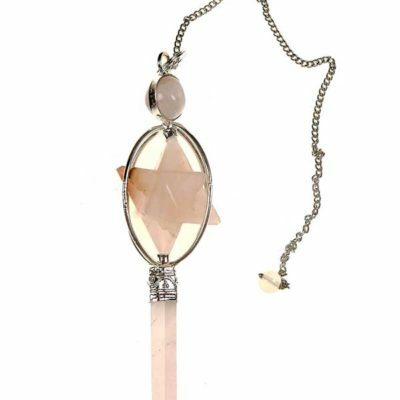 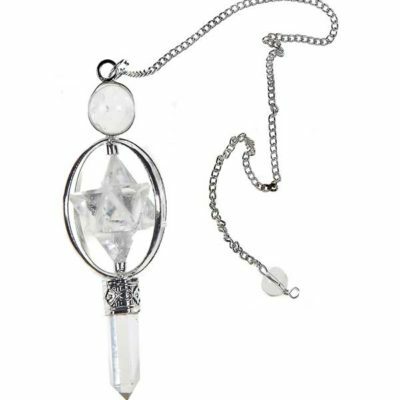 Clear Quartz Teardrop pendulum with 7 chakra stone beads on a chain. 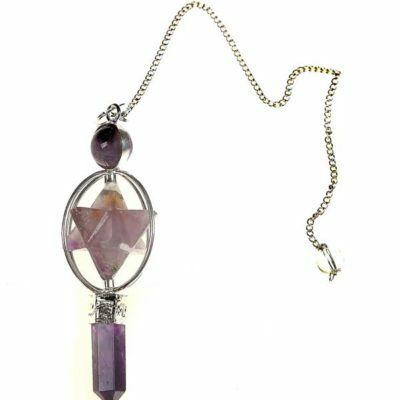 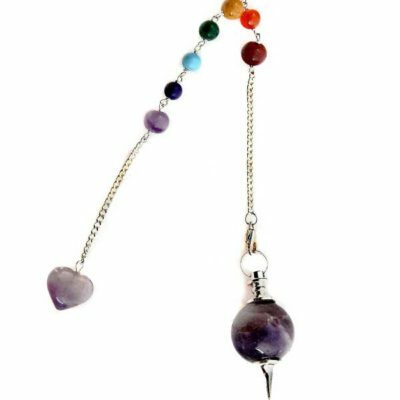 Amethyst Teardrop pendulum with 7 chakra stone beads on a chain. 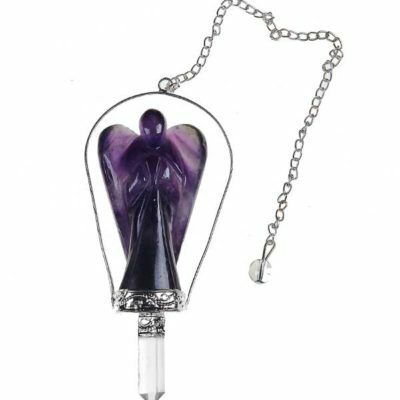 Beautiful hand made Angel Amethyst pendulum. 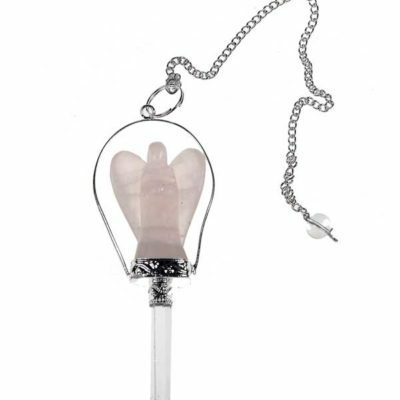 Beautiful hand made Rose Quartz Angel pendulum. 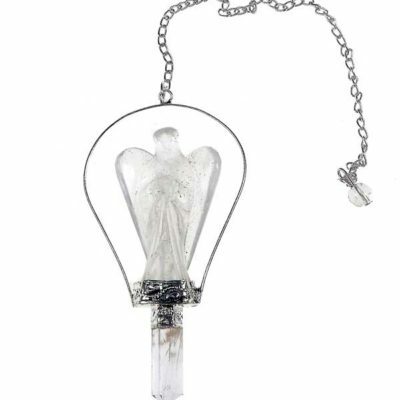 Beautiful hand made Clear Quartz Angel pendulum. 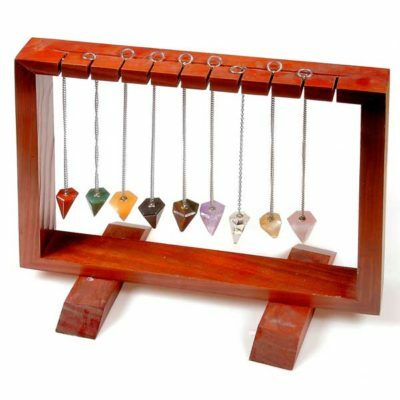 Wooden Display Stand to display 11 different varieties of gemstone pendulums. 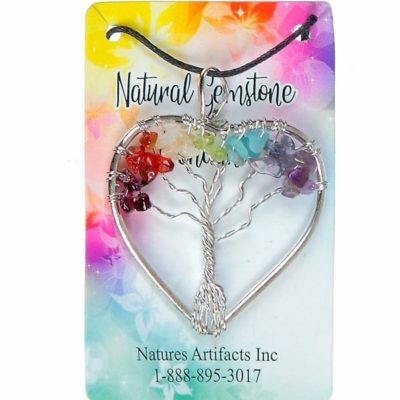 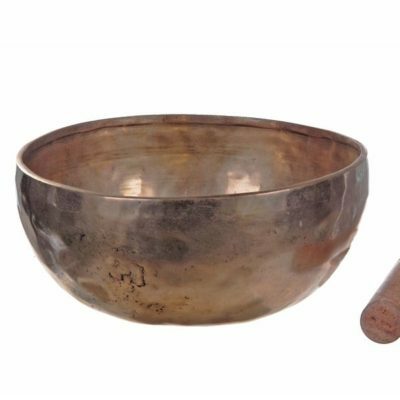 Pendulums not included. 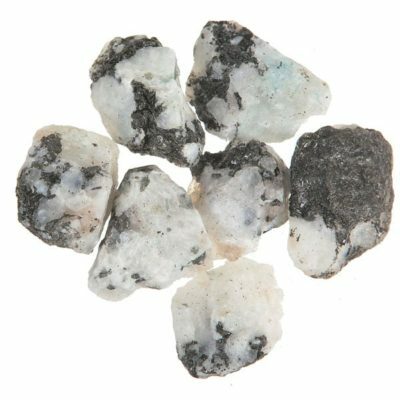 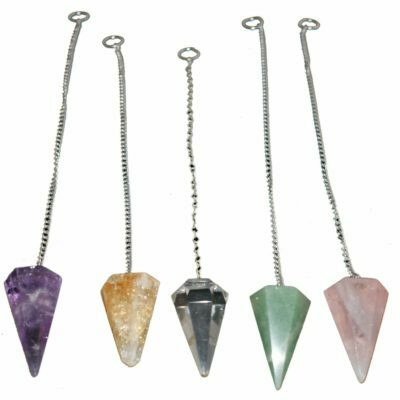 Each gem stone pendulum helps in spiritual healing and inner growth and makes a wonderful gem stone gift. 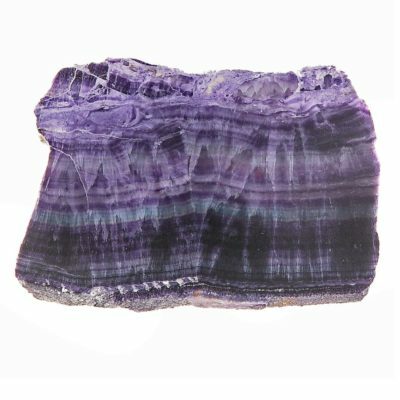 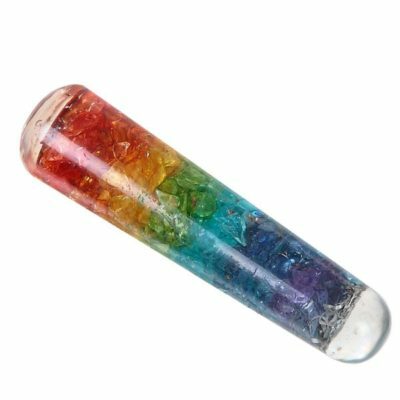 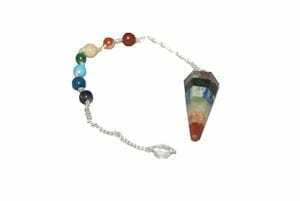 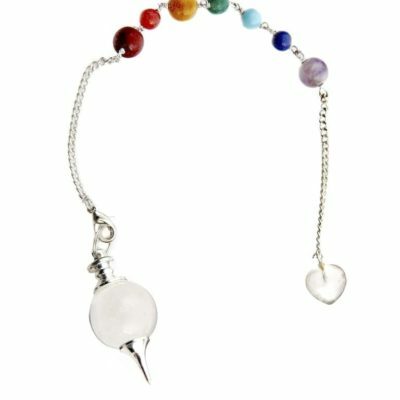 Each gemstone pendulum helps in spiritual healing and inner growth and makes a wonderful gemstone gift.